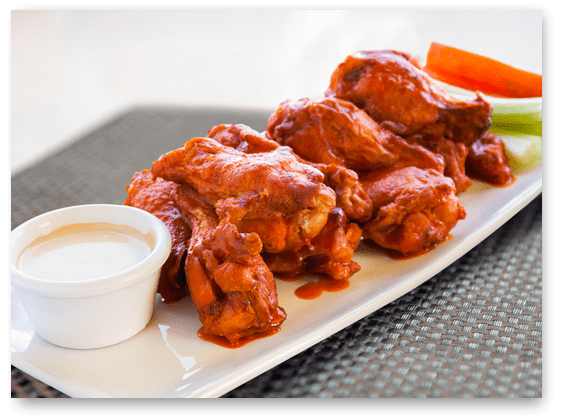 Tasty dip with lots of crispy chicken, topped with Buffalo sauce and a flavorful and creamy cheese spread, served with tortilla chips. Our crispy French fries, covered with melted Cheddar & Monterey Jack cheese and crispy bacon bits and chives. Ranch dressing for dipping. Fresh Catch of the day marinated on fresh lime juice and prepared with a bit of onion and cilantro, lots of chips on the side. 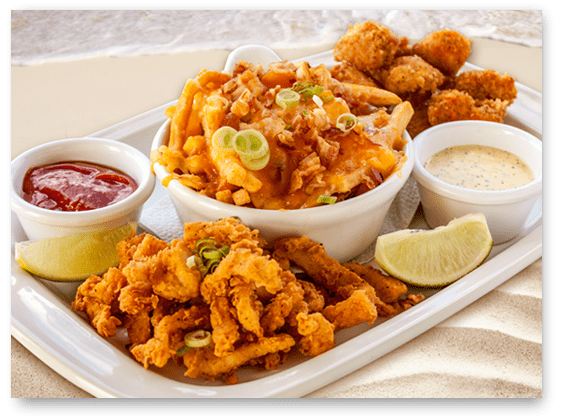 Breaded calamari strips fried until crisp, served with cheese fries with bacon, and boneless breaded chicken cubes. Our mouth watering sliders served with a side of sliced pickles, fresh tomato and dressing 4 per order. BBQ pulled pork or Buffalo fried chicken. 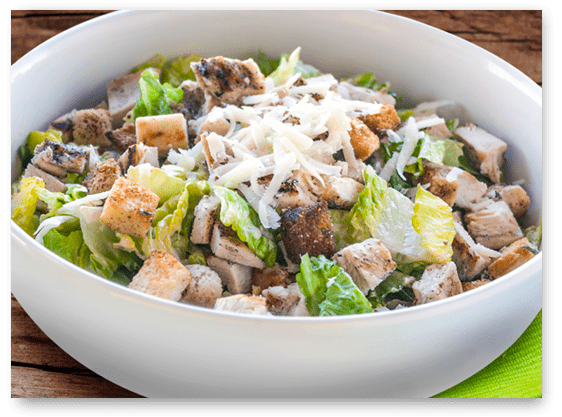 Served with fresh veggie sticks and your choice of sauce. Topped with chili, guacamole, jalapeños, sour cream and melted cheese. Breaded and deep served with our cocktail sauce and cajun remoulade. 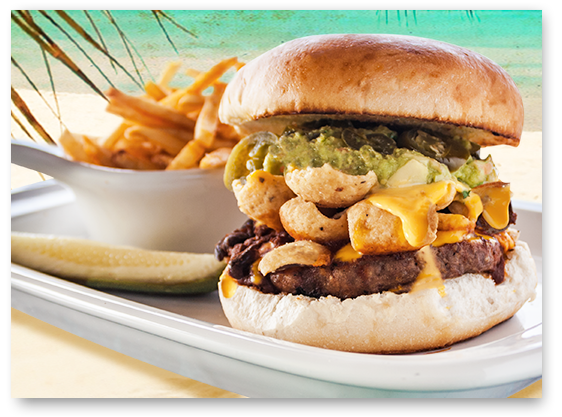 8 oz all Beef Grilled to perfection, topped with our volcano chili, lava cheese sauce, pickled jalapeños, guacamole and tortilla chips. Juicy 8oz Beef Patty, Grilled and served in a homebaked Bun, with Ceasar Salad and Melted Parmessan Cheese. Over 2 million served. Melted American cheese with fresh lettuce, grilled onions and tomatoes. 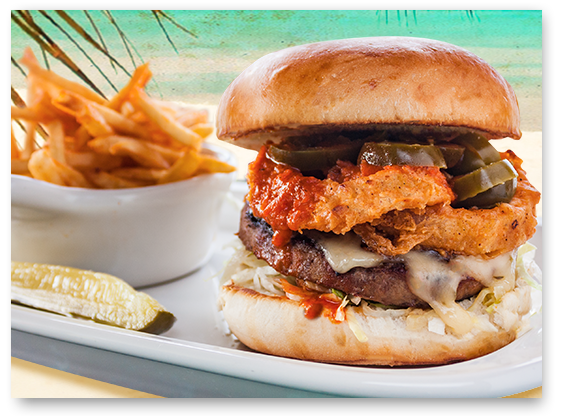 Seasoned with over 10 different spices, a touch of melted Pepper Jack Cheese, jalapeños, crispy onion rings and smothered in our Buffalo sauce. 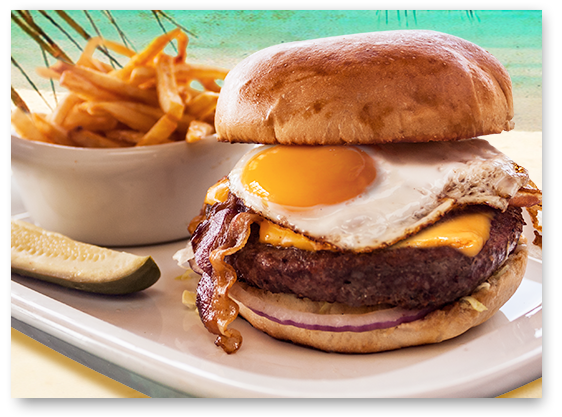 Our traditional grilled hamburger, topped with American cheese, caramelized onion, crispy bacon strips and a sunny side egg atop. 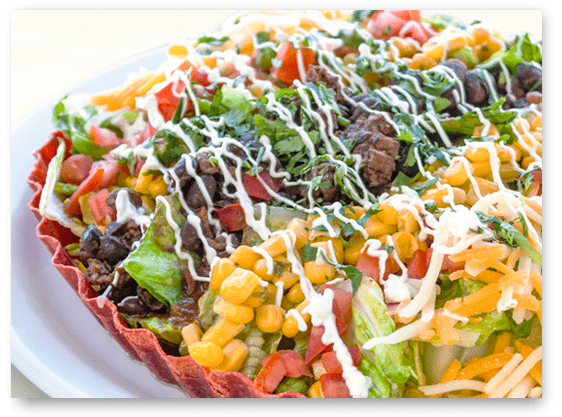 Topped with plenty crispy bacon,Monterey Jack cheese, fresh lettuce, red onion and tomatoes. 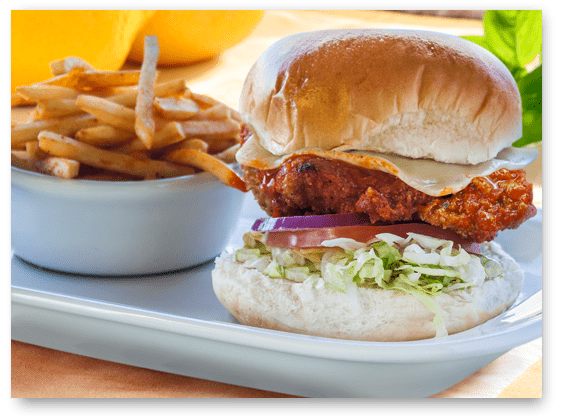 Deep fried chicken breast served bathed with Red Hot Wing sauce and topped with pepper jack melted cheese over a crunchy toasted bun, with french fries and ranch on the side. Slow roasted pork, ham, melted monterey cheese, served over a bit of our mayo/mustard sauce and sliced pickles , in a pressed and toasted house roll. 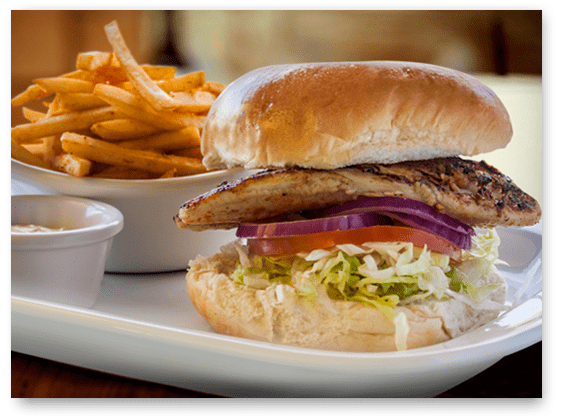 Today’s fresh selection grilled, blackened, or fried served on a toasted bun with tartar sauce. 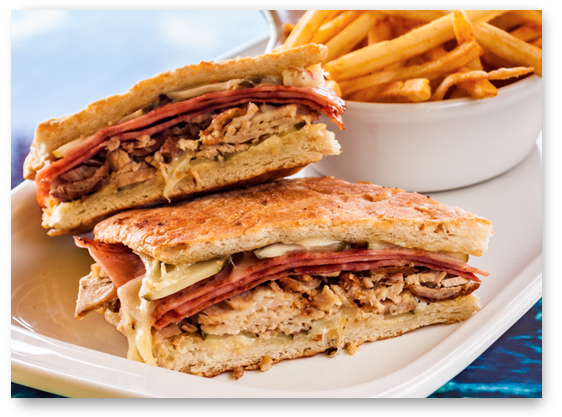 Marinated grilled chicken topped with smoked bacon, Monterey Jack cheese and Caribbean mayonnaise. Crispy green salad served inside a giant flour tortilla , with chili beans, mixed cheeses, corn and drizzled with chipotle sauce and a lemon & cilantro dressing. 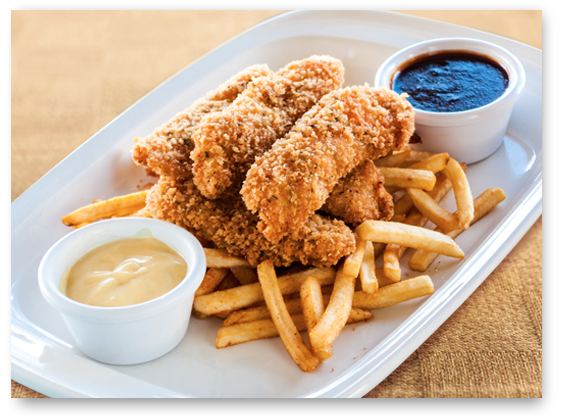 Boneless breast of chicken tenders, breaded and fried crisp. Served with honey mustard, BBQ sauce & fries. 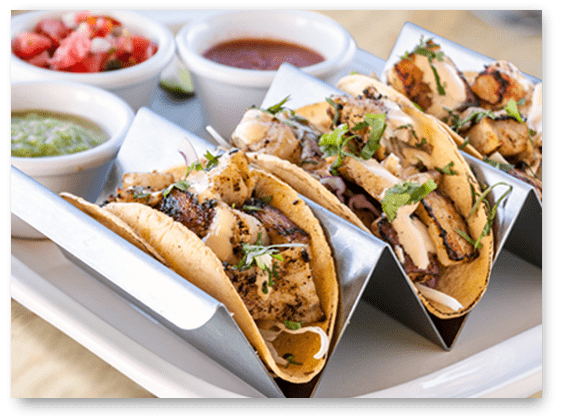 Our today’s catch prepared your way…served with house salad and side of mexican salsa. 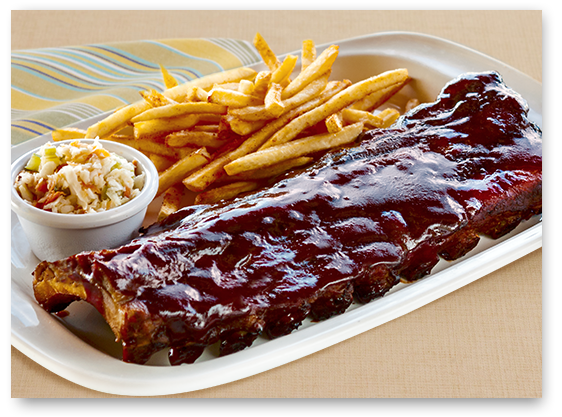 Slow cooked with our signature spice blend and basted with a Dominican inspired BBQ sauce. Served with French fried potatoes and coleslaw. 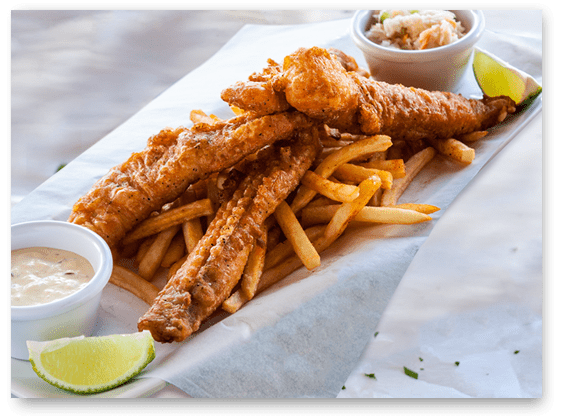 Hand dipped in our special beer batter, fried crisp and served with tartar sauce, French fries and coleslaw. Marinated in our signature seasoning blend. 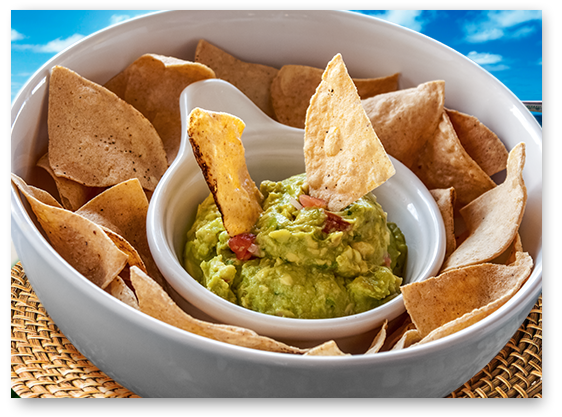 Grilled pepper and onions, pico de gallo, sour cream, guacamole and mixed cheese served with warm flour tortillas. Giant chipotle-flour tortilla, roasted peppers, melted cheese, pico de gallo, guacamole and sour cream. Tender grilled chicken breast chopped and served over sautéed bell peppers and melted Jack Cheese. Fried calamari, fresh cabbage and chipotle mayo. Best carnitas in the hood. 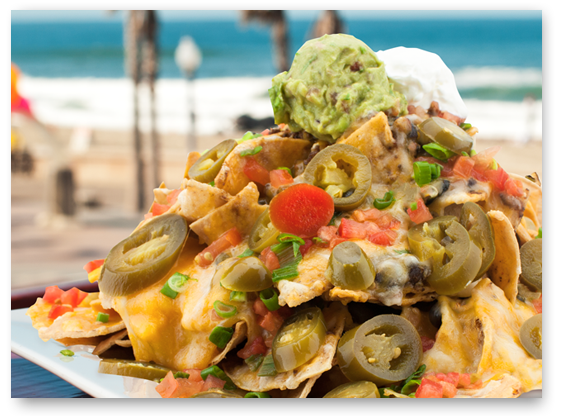 Baja style… beer batter and fried pieces served with cilantro mayo and fresh cabbage. 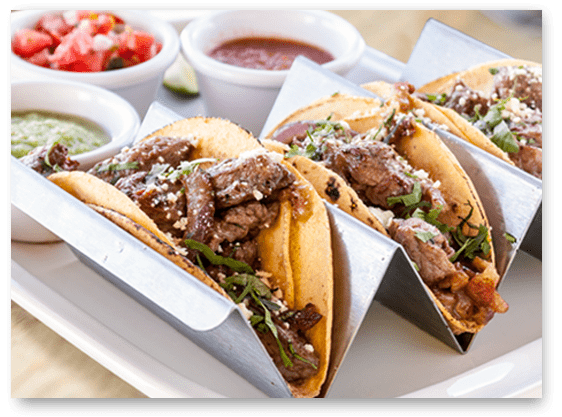 Juicy grilled skirt steak served with grilled onions and cotija cheese. 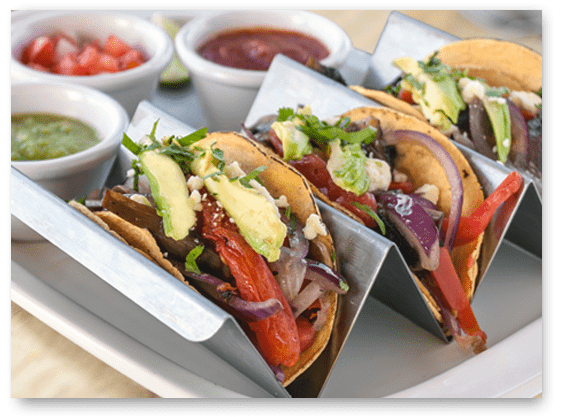 Sautéed mushrooms, tomatoes, and fresh avocado and cotija cheese. Vodka, amaretto, orange juice, pineapple and lemon grenadine. Prepared for her with vodka, malibú, peach liquor, cranberry juice and pineapple juice. Vodka, blue curaçao, natural syrup, lemon juice, mineral water and sprite. 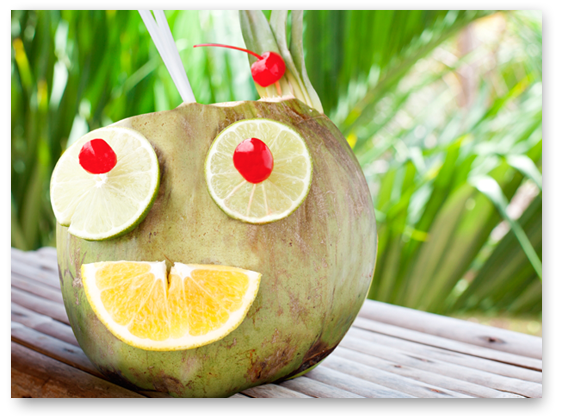 White rum, gin, vodka, triple sec, lime juice, orange juice, natural syrup and Coca-Cola®. Coconut rum, melon & banana liquors, pineapple & orange juice. Even Fidel fall into hands of temptation! Bacardi rum, freshmint leaves, sugar and club soda with a splash of lime. Our house margarita made with gold tequila. Served frozen or on the rocks. Silver rum, triple sec, blue curacao, pineapple & orange juice. 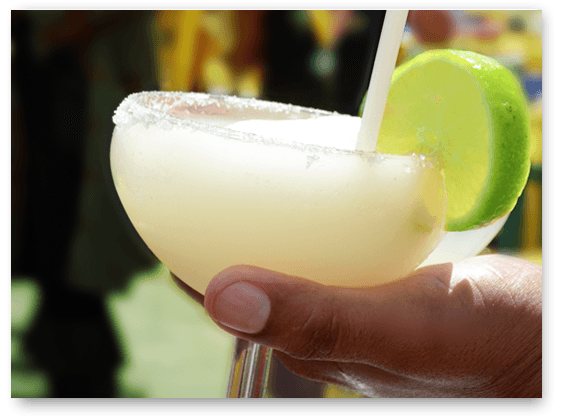 Named after our 7,039 gallons World Record Guinness breaking largest margarita set on May 18, 2001. Silver tequila, triple sec and our own special mix. 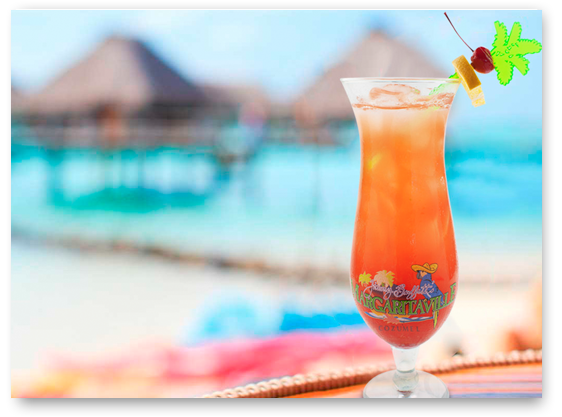 Cyclonic combination of rum Flor de Caña®, vodka, gin, orange juice, Pineapple and our hurricane mix. Error: Error validating access token: Session has expired on Tuesday, 22-Jan-19 12:23:36 PST. The current time is Friday, 19-Apr-19 07:27:05 PDT.